Posted March 13th, 2013 by alexa & filed under Weddings. 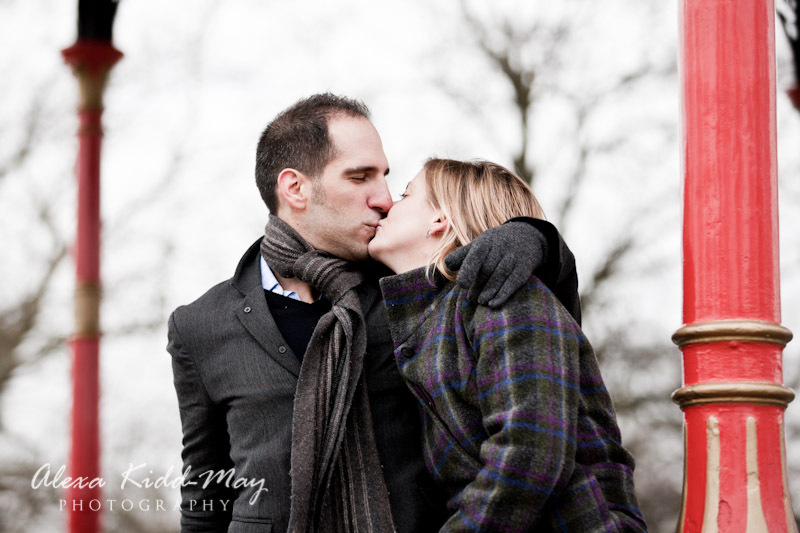 Greenwich Park was the stunning setting for this London engagement photography session. 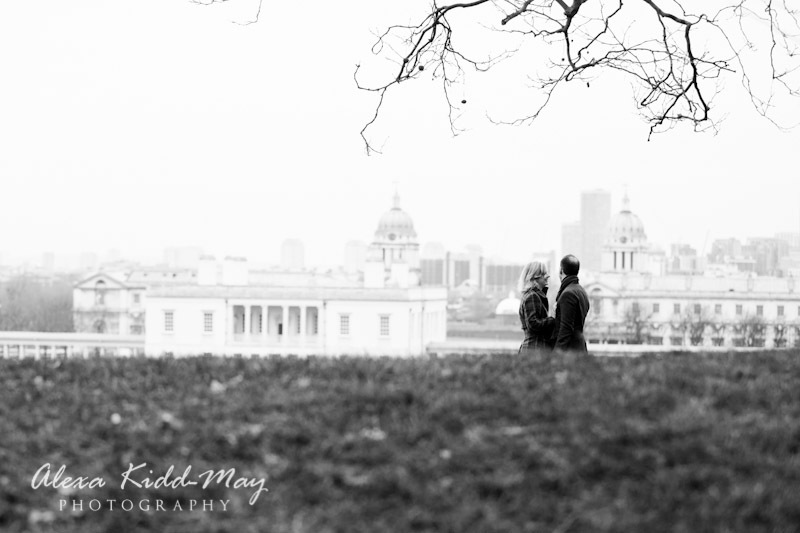 I was lucky enough to live in Greenwich for a few years a while back. I have alway remembered how wonderful the views are from the top of the park, near the Observatory. 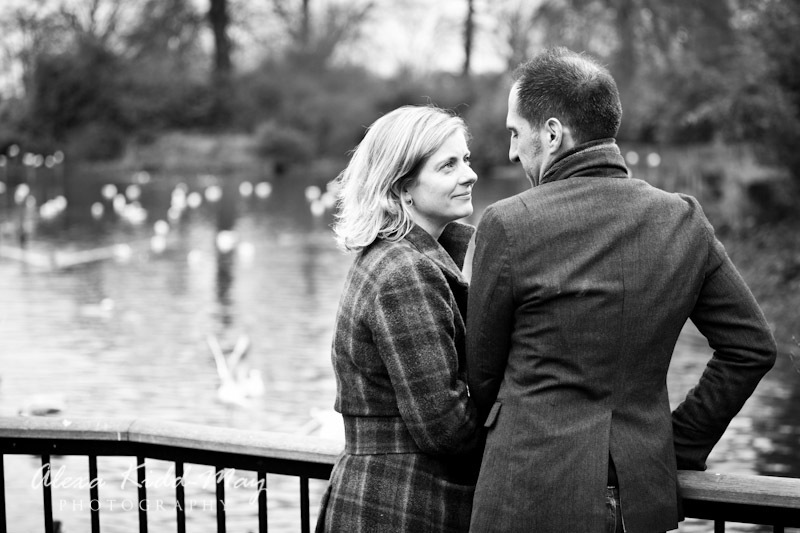 So when I met up with Caroline and Anthony I was keen to capture some of those views in the images. 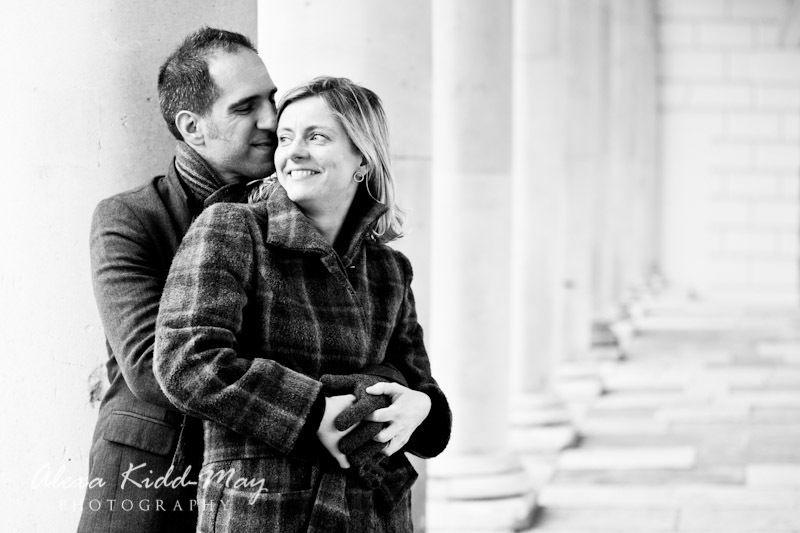 I’ve done so many different photography sessions in Greenwich Park. 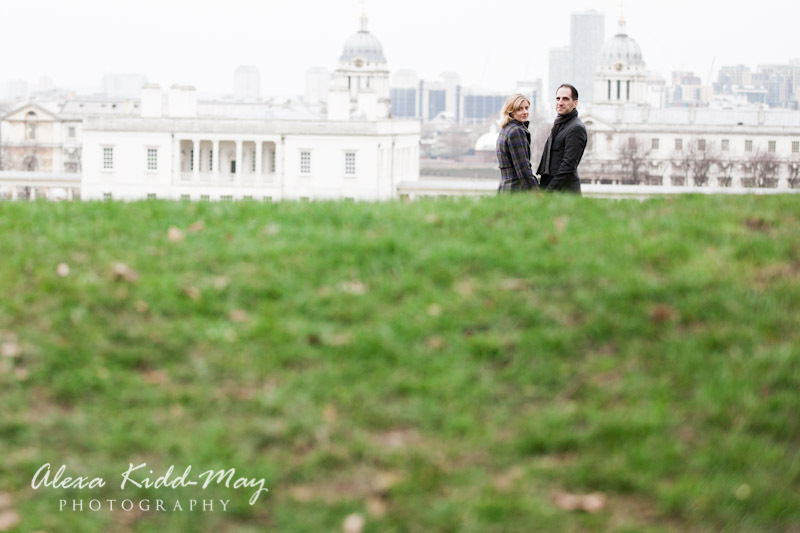 It really is the most perfect location for any shoot. 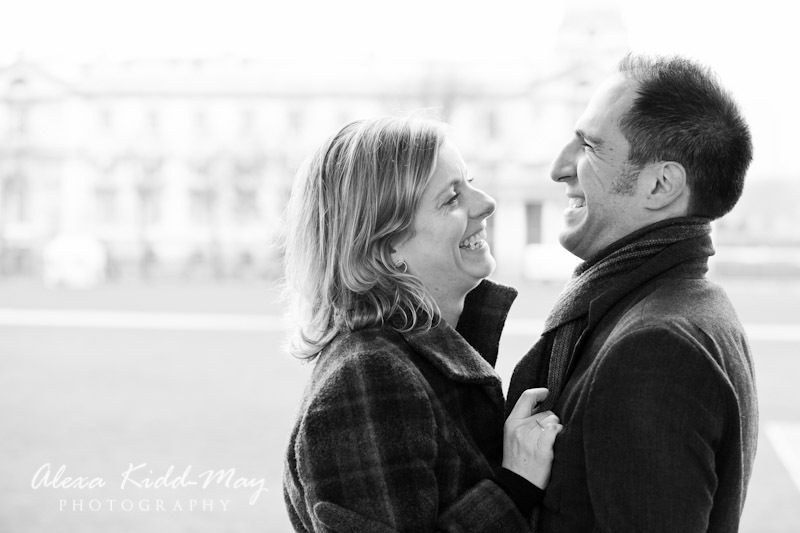 Whether it’s for a family, a musician, a headshot session or in this case an engagement session it’s fantastic. The views from the Observatory are far-reaching and very beautiful. 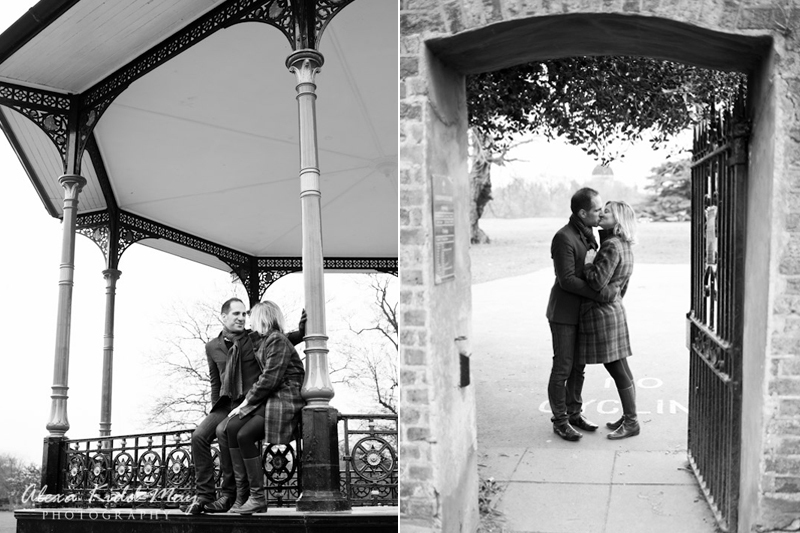 The pillars of the Naval College look great as a backdrop and the bandstand looks so striking with it’s bright red pillars. In the Spring the pink blossom is amazing too. 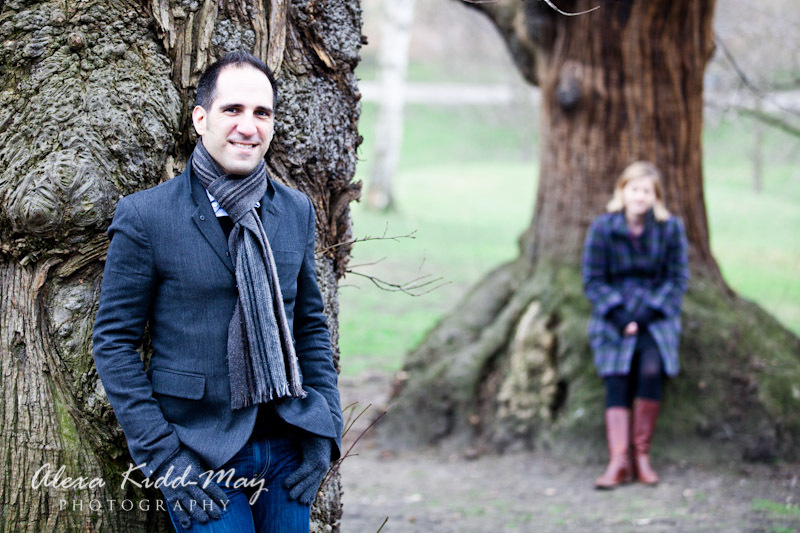 Even though this engagement session wasn’t in Spring, the trees still work really well in the photos where Caroline and Anthony are wandering through the park. 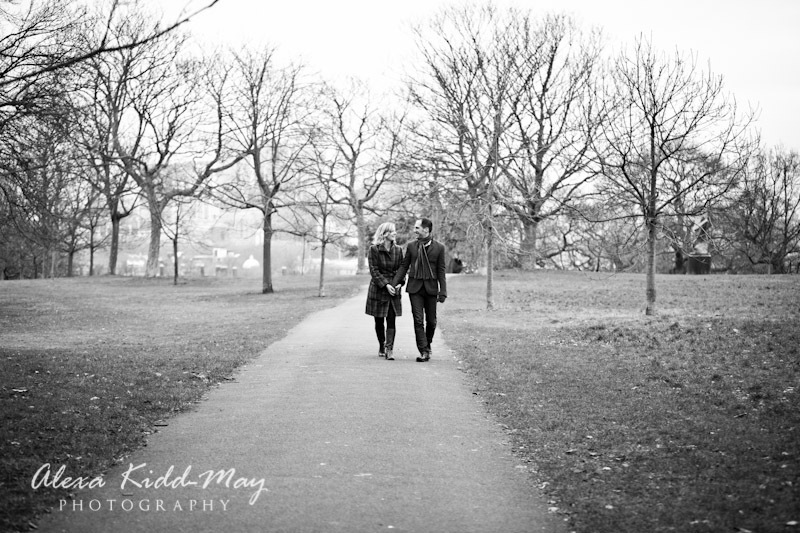 We had a fantastic walk around the whole park, chatting about the plans for their wedding. 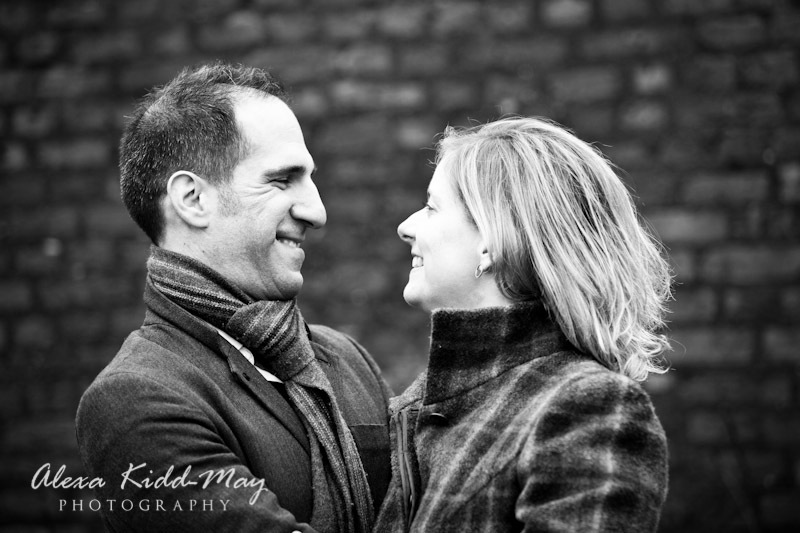 It’s taking place later this month in Suffolk and I can’t wait! 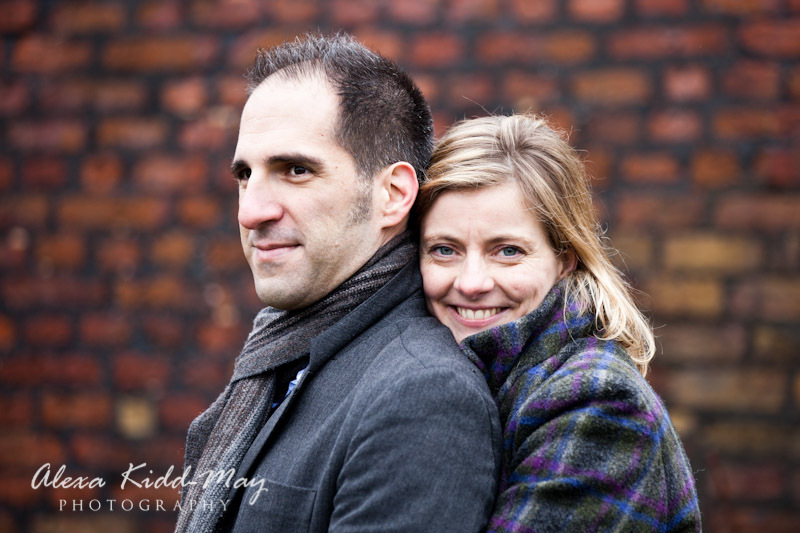 If you’re getting married and are looking for a relaxed wedding photographer or just want to book an engagement photography session please do get in touch on hello@alexakidd-may.com or 07813 816335. 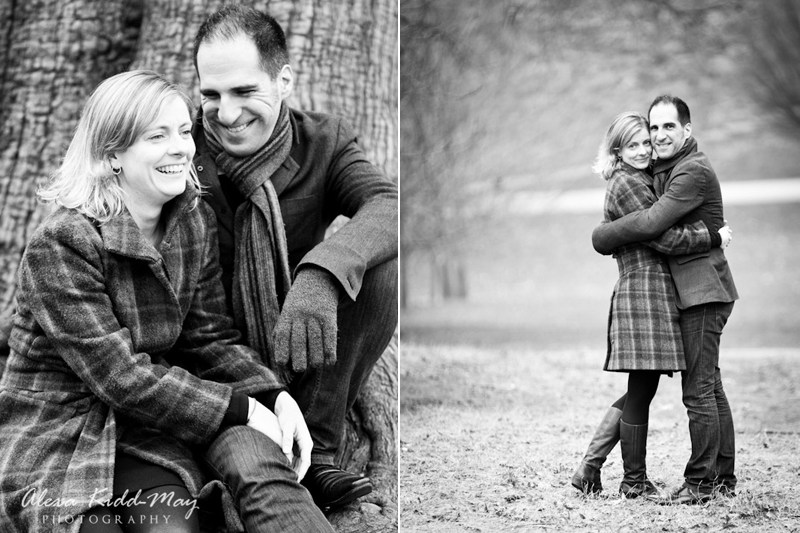 I’d love to meet up with you and create some beautiful engagement portrait photographs for you to enjoy forever. Brilliant Alexa, glad to see it’s going well. Speak to you soon, Andy.